If you are wondering how to open a franchise restaurant, this article explains all the steps you will need to take to get started on your journey. Don’t open up a restaurant without taking a look our guide first. An entrepreneurial spirit lives inside each of us. We’ve all had dreams of owning our own business. One of the best ways to start off as a business owner is to open a franchise restaurant of a large corporate entity. As a franchise owner, you operate an established brand and have a safer investment than if you started your own restaurant from scratch. So what does being a franchise restaurant owner mean? Read on to learn how to open a franchise. Research is the foundation upon all the rest of the franchise-opening process is built. Conducting extensive research is vital to ensuring you choose the right restaurant to open and the right place to open it in. Much of your research is about finding the right fit for you. You need to find a franchise that aligns with your interests, skills, budget, and business goals. Once you decide what restaurant is the best fit for you, you should contact the franchisor and tell them you want to open a restaurant. Each corporate restaurant will have its own unique methods for establishing new franchises. After you contact them, the franchisor will send you a Franchise Disclosure Document (FDD). The FDD contains much more thorough information about how to open one of their restaurants. 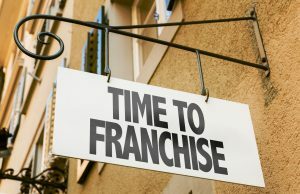 Before agreeing to give you the right to open a franchise, many franchisors like to meet with the potential new owner. The franchisor will host what is known as “Discovery Day.” This is a time where the potential owner visits the corporate offices, meets with company employees and other franchise owners, and generally gets to learn more about the business. Discovery Day allows the prospective owner to ask questions and make sure he’s choosing the right franchisor. In the same way, it allows the franchisor to evaluate the candidate and make sure they’re a good fit for the company. Discovery Day is in many ways similar to a job interview. If both parties mutually agree to move forward with the relationship, the next step is the contract. This contract gives you legal rights to use the franchiser brand while laying out rules you must follow and standards you must uphold to retain those rights. Due to the complexity of these contracts, it’s smart to consult a lawyer with experience with franchise agreements. Be sure to verify if anything in the contract contradicts or overlooks what you were told on Discovery Day or in other correspondences with franchisor representatives. If you have any issues, contact the franchisor and negotiate when possible. Opening a franchise restaurant requires a chunk of change up front. After all, you are paying for branding rights on top of other things like the building, equipment, and employee salaries. Opening a McDonald’s franchise, for example, requires $750,000 in liquid assets, including $45,000 for the franchise fee. Unless you’re already fairly wealthy, you’ll likely need some financial assistance to get started. 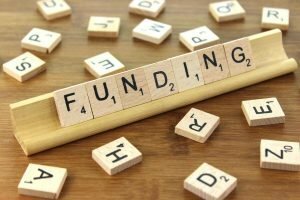 There are several ways to acquire this funding, including through traditional bank loans and SBA loans. You can also take advantage of Rollover for Business Startups (ROBS) to take money from your retirement fund without taxes or withdrawal penalties. Most funding options require a good credit score to be approved. If you have poor credit, you may struggle to get the funding to open a franchise. Read this blog to learn about some of the reasons for bad credit and what your options are. To finalize your franchise agreement, you must go through a franchisee training program provided by the franchisor. These sessions can take anywhere from a few days to several weeks, and often include both classroom learning as well as on-site experiences. Once you complete the training, you’re ready to take steps toward actually opening and running your own franchise restaurant. Once you get your franchise contract settled, your money situation figured out, and your training complete, it’s time to find a place for your franchise to set up shop. Location is critical in the restaurant business. You need to find a place with a high population of potential customers, but with minimal competition. You also need to be careful to not establish a franchise too close to another franchise of the same company. You must also consider accessibility, such as nearby roads, sidewalks, and public transit. Safety is another factor that needs to be considered with care. Look for a nice neighborhood with a solid police presence and a well-lit street and parking lot. Once you’ve found your property, it’s time to renovate the building to meet your franchise’s standards. This includes things such as seating arrangements, traffic flow, and both interior and exterior decor. You also need to buy or rent the equipment you’ll need. Grills, ovens, fryers, and any other equipment you need for your menu should be specified in your training. Finally, it’s time to hire and train staff. Some restaurant companies are very specific about how employees are trained, so follow the corporate guidance. It’s here! After a lot of work and even more money, you’re ready to open your franchise restaurant. Opening Day is an important moment for your infant franchise. The publicity and excitement of the opening ceremonies will help drive your franchise to success in the future. One of the big benefits of opening a franchise restaurant is the pre-established power of the brand. 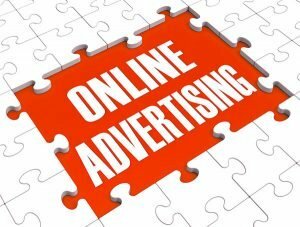 The corporate side of the franchisor conducts its own advertising and marketing initiatives, many of which will affect your own store. For example, if your franchisor is running a special offer or a discount, your franchise will likely be participating as well. However, it’s up to you to take up more localized marketing initiatives to bring in customers from your community to your specific location. Consider sponsoring a little league team or hosting fundraiser nights for clubs and nonprofits. You’ll drive more people to your restaurant while building local goodwill. You now know how to open a franchise. But getting started is just the beginning for franchise owners. Looking for some great tools to help you with budgeting, taxes, and other franchise ownership tasks? Check out the tools we recommend.